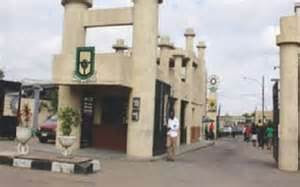 The Academic Board of Yaba College of Technology, Yaba, Lagos, has expelled 73 students for presenting suspected forged results. A statement by the college made available to the News Agency of Nigeria (NAN) yesterday said the affected students were part-time pursuing National Diploma and Higher National Diploma programmes. Signed by the Deputy Registrar, Mrs Titilayo Obadimu, the statement said the affected students registered for the 2013/2014 academic session. According to the statement, the results were discovered during the verification of Senior Secondary School certificates and National Diploma results. It said 46 students for National Diploma and 27 for Higher National Diploma were affected. “All affected students are advised to hand over the property of the college in their possession, including Identity Cards, to their heads of department, the librarian and Dean of Students’ Affairs,’’ it said. Mr Charles Oni, who heads the Public Relations Unit told NAN the college had zero tolerance for malpractices and social vices. He said all documents presented for admission were subjected to rigorous screening. Oni urged prospective students to avoid forgery of results and other malpractices.